Cool Kit is the thermal sensation of the beauty market. This makeup bag will keep all your products on set at temperature. No matter if you are in the boiling summer heat or shooting in the snow, no more melting or freezing makeup thanks to a new insulation technology. The inside of the bag is lined with aluminum, spill proof and super easy to clean. Thanks to the comfortable shoulder strap, you can carry all your tools and products in one place, without any discomfort. Even your tissue box is within easy reach! Cool Kit is a hands-free bag! Add the Star cooling packs for the best cooling results. Wendy K. Reviewed by Wendy K.
lilly m. Reviewed by lilly m.
This has been a great bag to use on set for outdoor and beach shoots. Summer shoots in Australia can get pretty hot and it is annoying when everything melts completely..this is a winner. 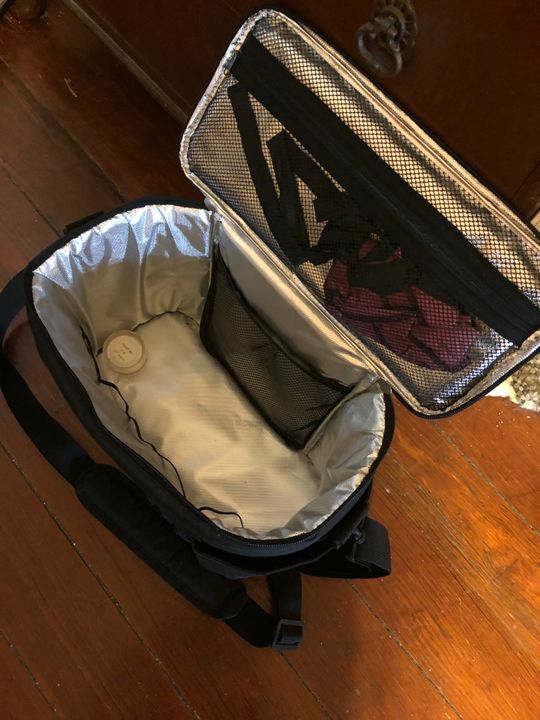 Lindsay S. Reviewed by Lindsay S.
I love that it’s insolated so my stuff doesn’t get cold or hot but I feel like the bag over all is a little cheap looking for the price of $60. Aitana v. Reviewed by Aitana v.